A census was taken in 1750 of the settlement of Guerrero which was headed by two Capitans that brought families together. First we have the group of families brought by Miguel Martines and then the families brought by Vizente Guerra Canamar. The census was taken on or about October 10, 1750 and presented to General Jose de Escandon. The location of the settlement was between the El Rio del Norte and El Rio Salado. The town was moved several times due to flooding, drought, and Indian depredations. 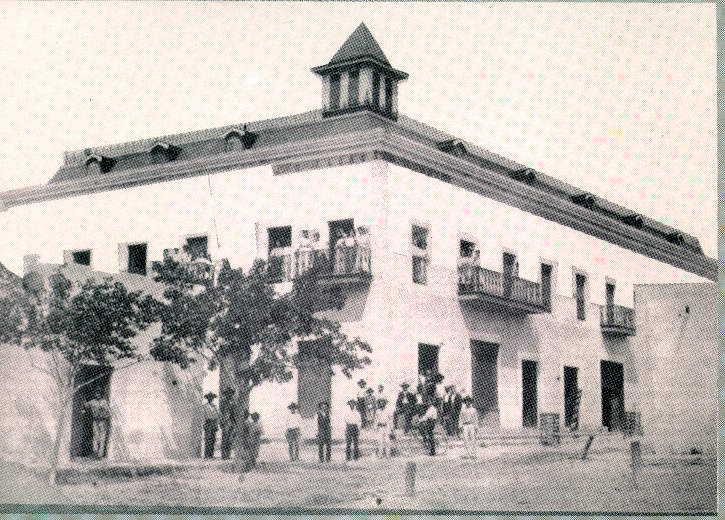 It was also later renamed Revilla. 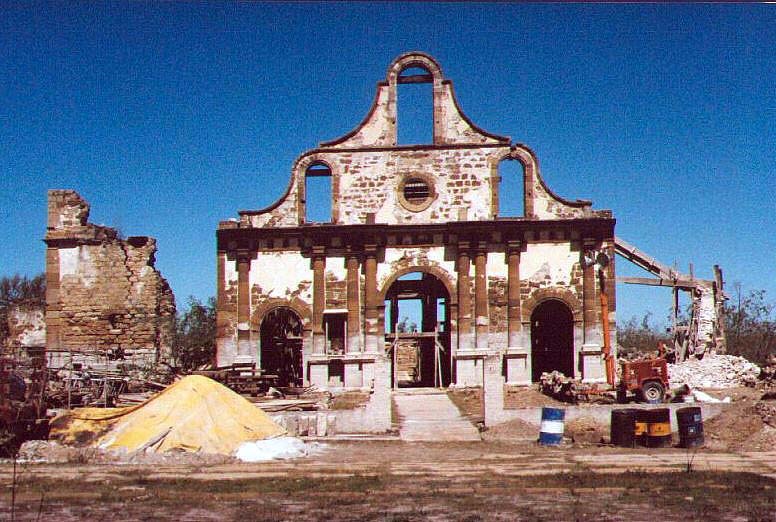 Now we see a picture of the church after it was flooded by the formation of Falcon Lake which is located on the Rio Grande River. The lake is shared by both the United States and Mexico. Dams, drought, and irrigation have lowered the level of the Rio Grande River because in earlier times river boats went up and down the river taking passengers and freight as far up the river as todays Roma, Texas. The town is now completely out of the water and the old buildings are visible by foot traffic. It is reported that a caretaker couple is protecting the old church during the low water by living on the site. Our scene was captured by J.J. Gallegos, a member of our Hispanic Genealogical Society of Houston, Texas.